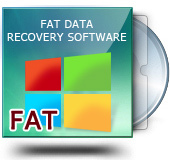 Description : Purchase FAT Data Recovery Software to retrieve deleted or lost images, audio and video files from hard disk drives. Recovers deleted data from major standards of hard disk drive standards like ATA, SATA, IDE, SCSI, EIDE and many more. Retrieves lost official files folders, text documents, power point slides etc from formatted hard disk drive of all capacities. Restores missing or lost data even that following messages display on your computer device: Drive not formatted, Drive not found, Drive not recognized etc.